Thanks to your little teaser pic, I was so looking forward to this tutorial! I just love the Moda Bake Shop. Can't wait to get one like this sewn up. Have a wonderful weekend. I somehow feel you quite deserve it! p.s. love the tutorial. headed to the mbs now!!! get a hot stone massage for me. A weekend away in Vegas, followed by a weekend at a spa. Oh to be you! I saw your awesome baby quilt at Moda Bake Shop and commented how cute it is. Have a great weekend. Well FINALLY Vanessa!!! My quilt top has been done for like 5 weeks, and I've been waiting for you to cater to me with the rest of the directions. Now how do I get to Felicia's house??? Super cute...now all I need is a girl! Have fun this weekend...and now hate involved just an unhealthy amount of envy! Well you enjoy yourself. I know that taking care of the family while your dear hubby takes care of the country is a hard job so go enjoy it! You've earned it! Woo Hoo! Two trips in a row. I have only been to Snowbird's spa once and I ADORED it! Lucky you! Have a terrific weekend! Sounds divine! I'm sure your bro and SIL will have a lovely weekend with the kiddos. Do they have kids yet? so lovely. I did your stacked coin quilt for my daughter and it is so cute in her room. HA! Amy, to get to my house you simply drive out to the middle of nowhere, go another 30 miles, and then turn right at the tree. Mine is the house with half an antler on the front steps...it's a gift from our dog. It's beautiful! congrats on being featured again! If you consider yourself a beginning quilter, you must be a pretty darn good one to have tutorials on Moda Bake Shop. Congratulations! Love the quilt! Think it's a project that a beginner like me can do? Another success! That is a sweet quilt that looks like it could be THE project for the weekend (plus)! Have fun with your weekend away! 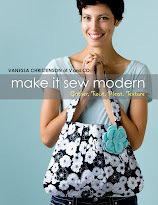 You rock Vanessa and this baby quilt is beautiful! Really cute quilt - someday when I have "time" I'd like to make it. I love the backing fabric you chose. What is it? 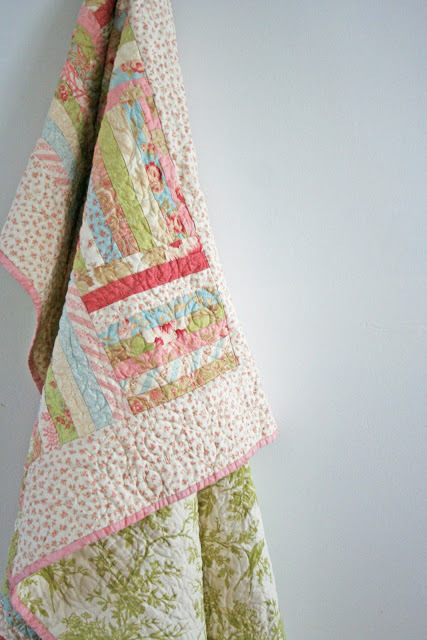 Your triangle pinwheel quilt turned out cute too - so cheery. I like the thin pieced strip around the border too. Oooh! I like, I like. I'm going to try to adapt this to a jelly roll, since I don't have a honey bun. Have fun at the spa. Try not to wear yourself out now! Yeah! I love your tutes! Thanks!! Adorable little quilt! Your quilter did a great job too! I just found your blog and after breezing through a few of your old posts, I immediately registered. Now I see that you are an Army wife? I am too, an old Army wife. We are stationed in NY. This is so cute! 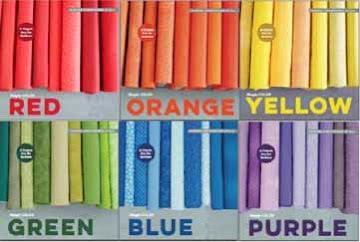 I have a couple of gift cards to different places and I think I may just buy a jelly roll to make one of these! I've never worked with the pre-cuts before. I think I would like it.